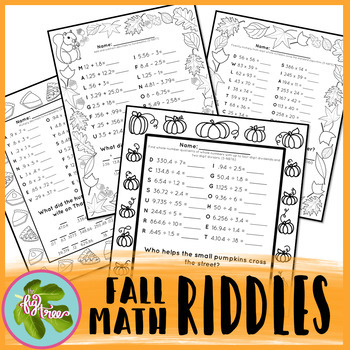 •This set of 4 math riddles is no-prep and self-checking! If students don’t see the answer listed, they can re-work the problem. •Great for morning work, math stations, early finishers, etc. •The Fall Borders are available in my store to jazz up all your fall and Thanksgiving writing activities.